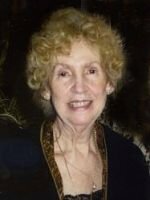 Zofia J. Maruniak of Bartlett, IL (formerly of Otsego, MI) passed away Friday, August 23, 2013, in Bartlett, IL. Mrs. Maruniak was born March 19, 1929, in Drochobycz, Poland to Tadeusz and Jozefa (Szandrowska) Slotwinski. Zofia was a devoted homemaker, a humanist, and a nature and animal lover. She attended St. Margaret Catholic Church in Otsego. In her leisure time she enjoyed reading and playing the piano. On August 14, 1949, in Szymbark, Poland, she married Adam Maruniak who passed away in 1992. She was also preceded in death by two daughters, Lidia Maruniak in 1992 and Barbara Magiera in 2010; and a brother, Zbigniew Slotwinski in 2008. Surviving are a daughter, Teresa (Juan) Ramos of Bartlett, IL; two grandsons, Brian and Alex Ramos; and a son-in-law, Andrew Magiera of Richland. Friends may visit with Zofia’s family from 6 to 8 P.M. Tuesday at the Winkel Funeral Home, Otsego, with a Scripture Service to be held at 8 P.M. and where a funeral service will be held at 11:00 A.M. Wednesday, Rev. Fr. Brian Stanley officiating. Cremation will follow.